ribbon and gift wrap (and I'm so impressed by their prices!). 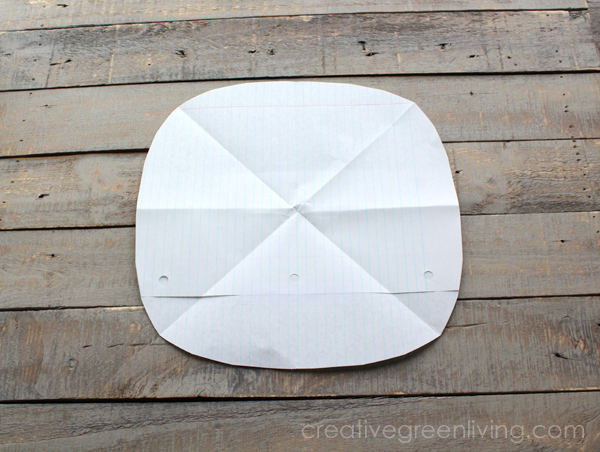 Tape two large pieces of scrap paper together and cut out a circle that is an appropriate size for the center of your butterfly circle. Mine is 10 3/4" across. Prep butterflies by removing wires protruding from their bodies. 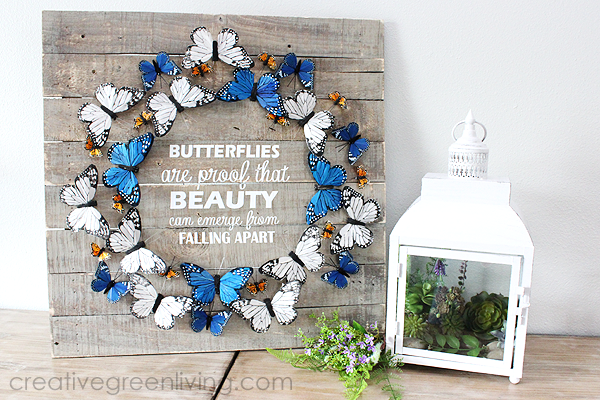 Hold the butterfly's body securely and pull on the wires to pop them out without cutting. 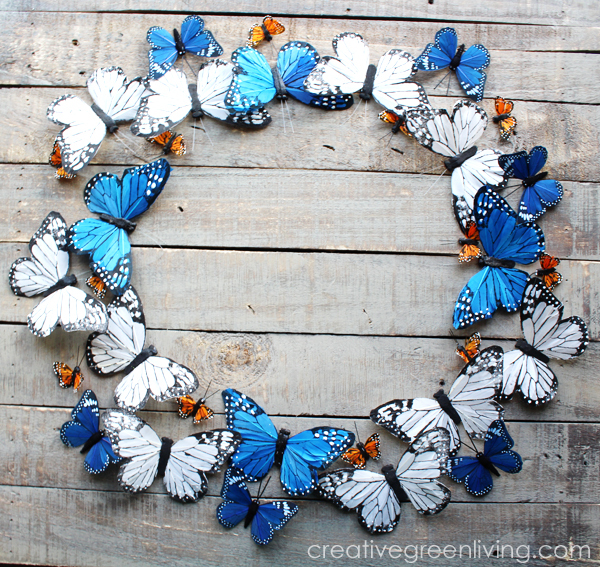 We are going to use all of the large white butterflies and tiny orange butterflies and just the blue butterflies from the assorted sets (this one and this one). If you are using a silhouette to cut your vinyl letters, you can get a head start by downloading my free SVG file here. 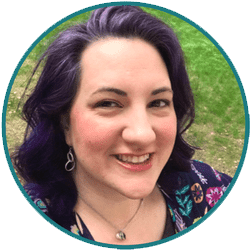 If you have a different craft cutter, measure the circle of exposed wood and create the words you need in the appropriate size using your craft cutter's software. No craft cutter? Try this technique instead using your regular printer and a craft knife. Once your design is cut out, use the vinyl tools to "weed" away the vinyl you won't be using on the board. Put a piece of vinyl transfer tape over the letters, rubbing to be sure the tape is firmly attached before peeling the tape and letters up from the vinyl backing. 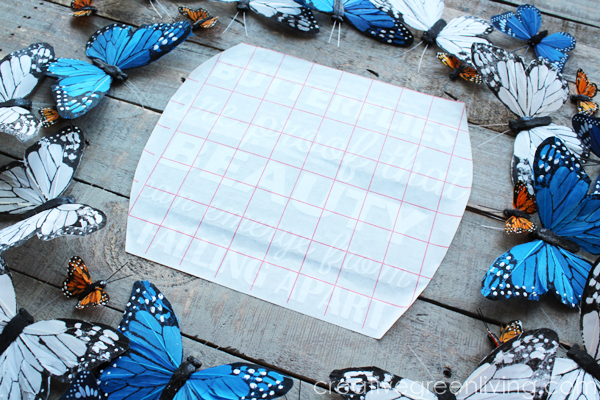 Carefully place the tape and vinyl letters in the center of the butterfly circle. 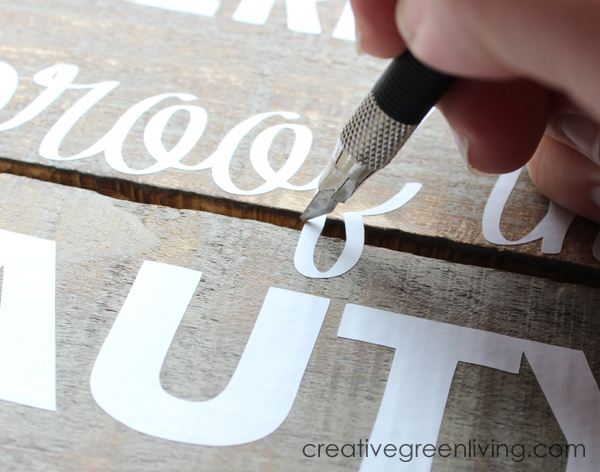 Rub well with a vinyl scraper or large craft stick to be sure the vinyl letter transfer to the wood. Peel away transfer tape at a sharp angle, watching to be sure the letters all stick to the board. 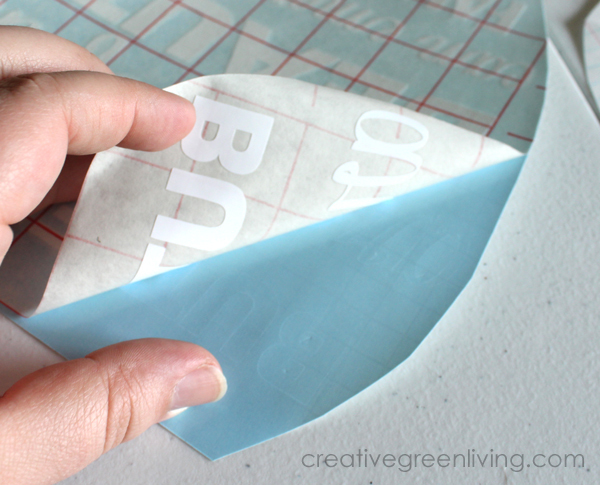 Finally, use scissors or a craft knife to cut away pieces of vinyl that are overhanging the gap between boards. 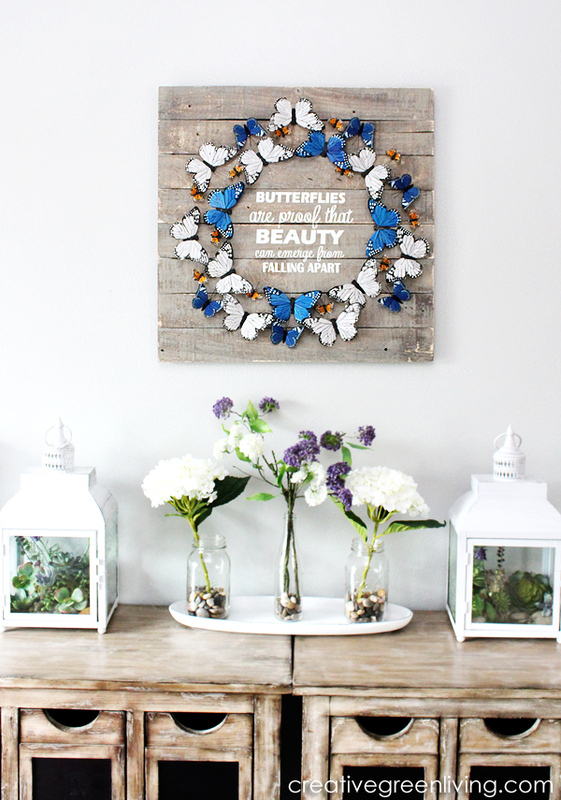 Once the butterflies and words are both attached to the board, you are ready to use it in your home! I hung mine on my wall using 3M picture and frame hanging strips. 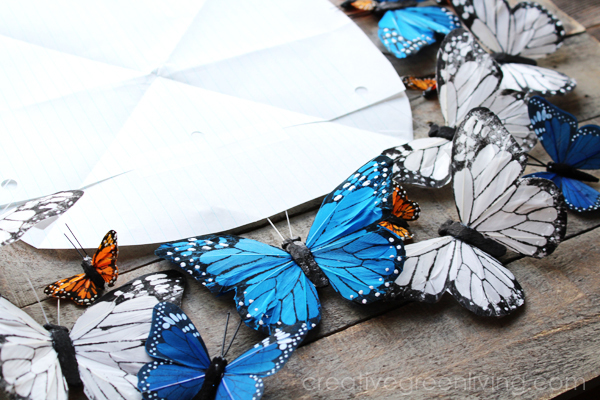 From butterflies to twine, gift wrap, packaging and more, be sure to check out PaperMart to get your packaging and gift wrapping supplies for less. Sponsored post disclosure: This post was sponsored by PaperMart. This project is my original and copyrighted creation. All opinions expressed are 100% mine and reflect my authentic experience with this brand. 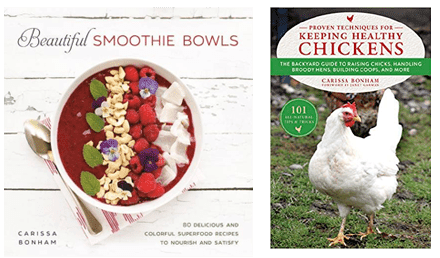 I only recommend products I personally enjoy and think my readers will as well. 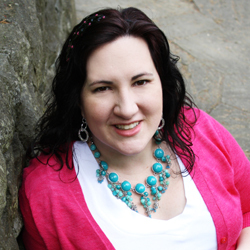 For more information, see my full sponsored post and review policy. its looking so beautiful and shared so amazing guide to design it at my home. I also make it at my home. 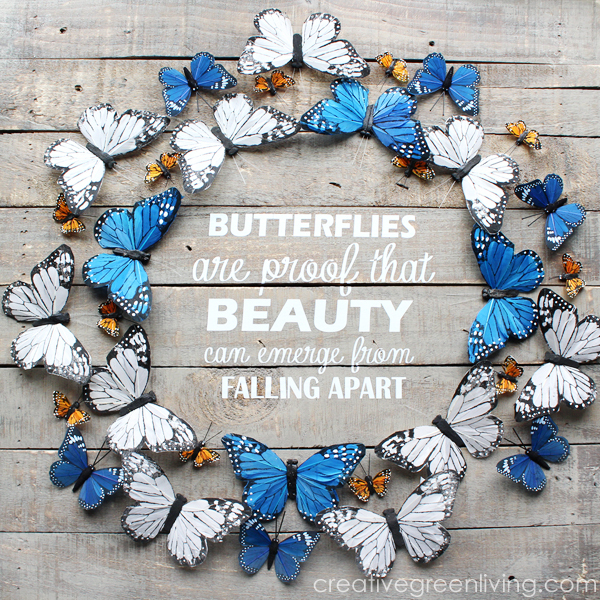 I LOVE those butterflies!! You picked such awesome colors too. . . Sharing!